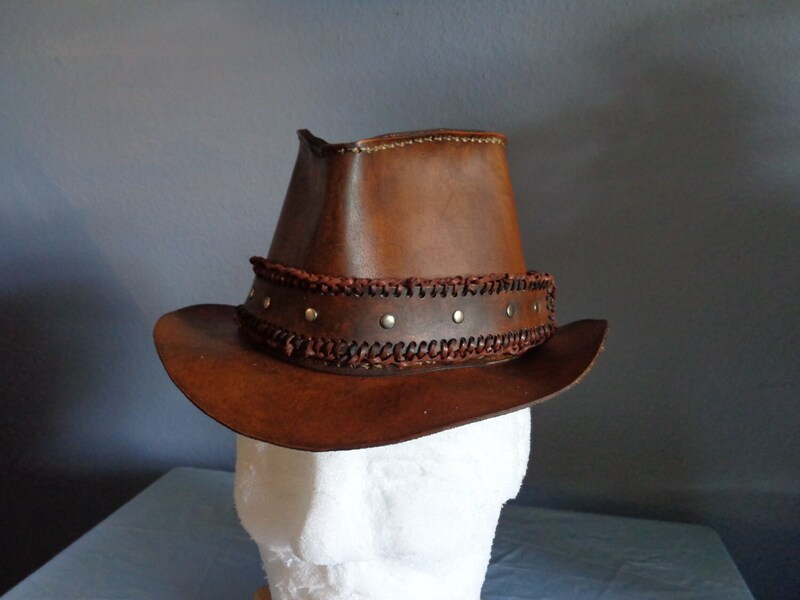 Nothing says you're an adventurer like this rugged leather fedora! Medium tan color. 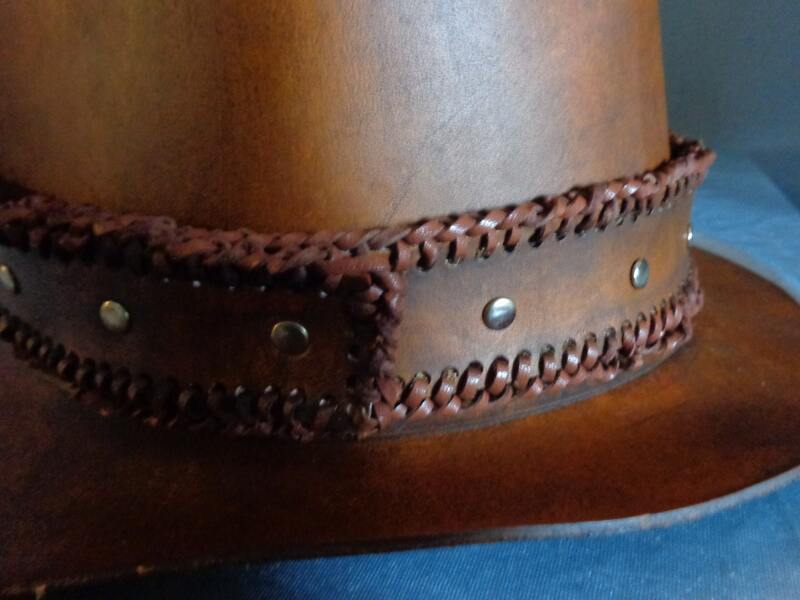 Leather hat band with double loop laced edge and silver rivets. 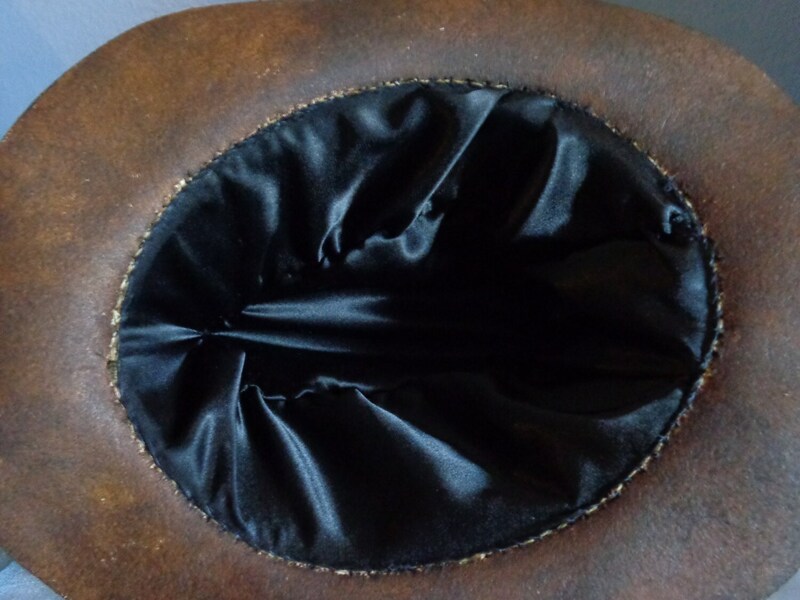 Inside is lined with black silk. These are made to order with your specified hat size. Unisex.